KUALA LUMPUR (Nov 27): RHB Research says it does not expect any changes to the FBM KLCI components stocks in the next FBM KLCI semi-annual review that would be announced on Dec 4 and take effect on Dec 22. In a strategy note Nov 26, RHB Research said that based on the FBM Index Series ground rules, a security would be deleted if its market cap ranking drops to 36th place or below. “Meanwhile, a security will be inserted into the FBM KLCI at the periodic review if its ranking by full market cap rises to 25th place or above. “At the close of business on 25 Nov – the prescribed cut-off date for the December review – no non-component stock was ranked 25th or higher, while the lowest ranked stock was KLCC Stapled Group at No. 32. 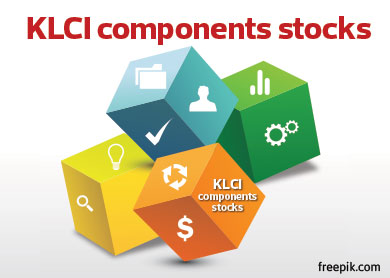 “Accordingly, we do not expect any changes to the FBM KLCI component stocks in this review,” it said. Meanwhile, RHB Research said the FBM KLCI had descended into negative territory for the year with a year-to-date (YTD) decline of 1.5%. It said 14 component stocks outperformed the index while 16 underperformed. RHB Research said the best performing stock was Telekom Malaysia Bhd with a 35.1% YTD gain. Mewnwhile, it said Petronas Dagangan Bhd was the worst performer, declining 46.1%. “Generally the telecom, healthcare, utilities and consumer sectors fared better. “The sectors performing poorly include oil & gas, banks, plantations, gaming and auto. “We are cautiously optimistic on the prospects for the market in 2015,” it said. RHB Research said the global economic recovery remained intact, with improving growth outlooks for the developed economies, which will help to lift exports and GDP growth, while monetary policy will stay accommodative. “Corporate earnings are also forecast to trend higher in 2015. Our stock Top Picks include Press Metal Bhd,” it said.